This coffee table can be personalised (To infinity, and beyond ! …), you can personalise the dimensions, the appearance of the metal and of the table-top. - a treatment with a slightly granular, matte black paint which replicates the industrial look whilst maintaining a uniform appearance. - you can also choose to leave the top untreated and allow the material to remain natural. 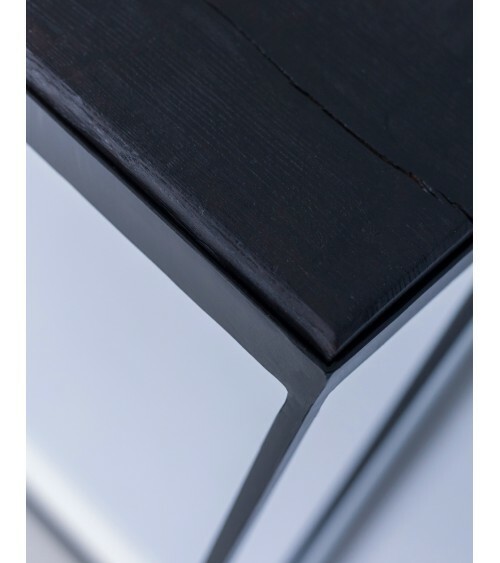 At Atelier Majeur we favour the Shou-Sugi Ban, for its extraordinary reflections and its unique texture. 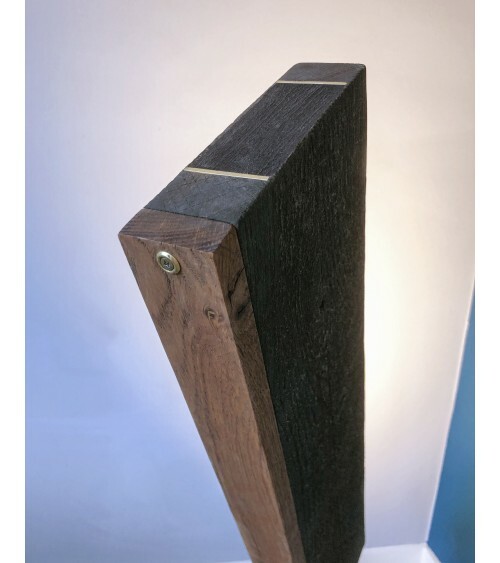 There are many other types of finishes that we can do, all respecting our ecological ethic, if you would like more information, please contact us. We offer the option to embed cement tiles within the table top, these can be used to rest plates or vases on, for example. We offer various combinations, for a single tile you can order directly, for a specific combination we would ask you to contact us. The patterns may vary slightly; we favour vintage tiles, and stocks are therefore changeable.